The road to production has been a long and bumpy one for the movie adaptation of Justice League Dark, the moody, supernatural little brother of DC's flagship Justice League series. When news broke that Crimson Peak director Guillermo del Toro would no longer be directing, prospects for the movie seemed a little, well, dark. Del Toro wrote the original script, and his involvement seemed the best indicator that the film would end up being something worthwhile. Since then, though, we've heard that the movie is "a priority" for New Line Cinema. Some solid casting choices would be a good indication that that's the case. Now there is a bright spot amid the gloom, though: a new rumor that claims not only will John Constantine be used to anchor the movie's team (after an ill-fated trip to NBC), but that JLD's John Constantine might be played by True Detective star Colin Farrell. The rumor comes direct from Latino Review reporting that Farrell is the studio's frontrunner for the role of the blonde-haired, British bad boy John Constantine - one of the more well-known members of JLD - a move that would bring significant star power to the movie and, given the actor's own darker past and time spent on the press' bad side, seems like a natural fit for the role. After failing to hit his target as Bullseye in the unfortunate big screen version of Daredevil, Farrell may be the second star of that film to get a new chance at superhero fame in Warner Bros.'s Justice League universe. It should be noted that this is just a rumor, with LR not citing any sources for its claim. They've been correct about a few casting choices in the past, though, such as Chadwick Boseman being cast as Marvel's Black Panther and Josh Brolin taking the role of Thanos in Guardians of the Galaxy. So while WB rumors haven't been as on the mark, the Farrell rumor is at least something to consider. Farrell would be the third actor to play Constantine, after Keanu Reeves did it in the little-loved 2005 film adaptation and Matt Ryan did it in the better-loved-but-still-canceled TV series (and later reprised the role for Arrow). The show's cancellation was recent enough that many fans are probably still sore about it, but Farrell's casting in the role could go a long way to easing that pain. Of course, not everyone will be enthusiastic about the rumor. Farrell has been in plenty of duds lately, like the fairly unnecessary remake of Total Recall and the laughably bad Winter's Tale. Then there's the controversial second season of True Detective, which was somewhat less than satisfying as well. The failures of that show weren't on Farrell, though, who turned in an admirable performance as exactly the sort of tortured badass he would be playing in JLD. 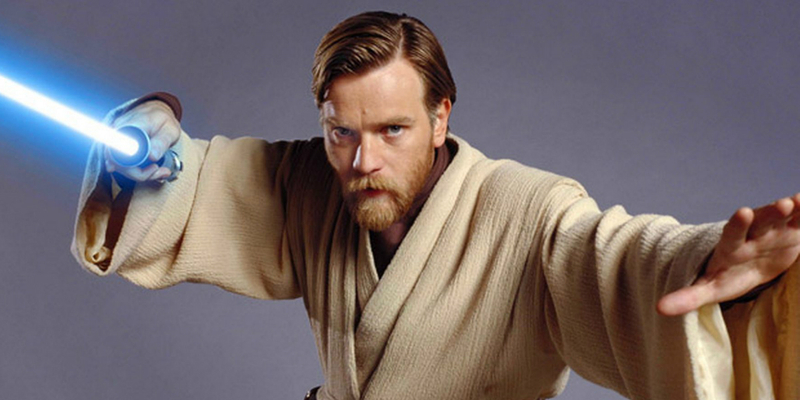 Fear not, since the same report claims that the studio has also approached former Star Wars star Ewan McGregor for the role, possibly also the supporting role of Jason Blood/Etrigan The Demon. We'll leave it to the fans to decide who would be best for either part. Justice League Dark is rumored to begin production in 2016 with no release date currently set. Batman V Superman: Dawn of Justice opens on March 25th, 2016; Suicide Squad on August 5th, 2016; Wonder Woman on June 23rd, 2017; Justice League on November 17th, 2017; The Flash on March 23rd, 2018; Aquaman on July 27th, 2018; Shazam on April 5th, 2019; Justice League 2 on June 14th, 2019; Cyborg on April 3rd, 2020; Green Lantern Corps on June 19th, 2020. Untitled Batman and Superman solo films will be coming at dates TBD. Artwork by UncannyKnack on DeviantArt.